In an interview with the South China Morning Post, Alibaba founder Jack Ma shares his views on the Chinese economy and the importance of entrepreneurship in supporting development. CHINA’S economy will face “a difficult three to five years” but the slowdown will be good for its long-term development, Alibaba executive chairman Jack Ma told the South China Morning Post (SCMP) just before the e-commerce giant’s takeover of the 113-year-old newspaper. Ma said the Chinese economy was indeed grappling with structural problems and that the authorities were working hard to steer it onto a new growth path. But he dismissed fears that China would follow Japan’s route to stagnation, saying the country still had huge potential waiting to be tapped. The rapid growth of China’s Internet economy and consumer culture could help the country through its temporary difficulties, Ma said. China would likely continue to grow at a rate “enviable to most other major economies for 15 to 20 more years”, he said. Ma gave the two-hour interview in Hangzhou, eastern Zhejiang province, during which he also discussed his vision for the SCMP, cultural differences between the east and west, and his concerns for Hong Kong’s next generation. Commercial and residential buildings in Guangzhou, Guangdong province. China’s economy has been grappling with structural problems but Beijing is working hard to steer it onto a new growth path. On China’s economy, the businessman said it was unrealistic to expect an economy of such scale to maintain double-digit growth indefinitely. “There is no reason to expect that an economy of such size can maintain such a growth rate indefinitely, nor is it good for China to continue to grow at such speed,” Ma said. “After more than 30 years’ growth, spending a few years to adjust its course is reasonable. Comparing China with an ocean liner, Ma said the Chinese leadership understood that the country’s old growth model was unsustainable and that they needed to chart a new course. “It is easy for a small boat to change its course. But as the world’s second-largest economy, China is like an ocean liner... we have to choose either to not slow down and overturn the ship, or to slow a bit to make the turn,” he said. The key was to create enough jobs to keep the economy stable and buy time so the country could complete its much-needed transformation, Ma said. Fortunately for China, he said, the rise of its Internet economy happened at the right time. “The traditional industries are struggling, but we also see growth in domestic consumption, the services industry and the hi-tech sector, and young talents are flocking to these areas,” he said. Ma said the deciding factor in a true economic transformation would be the country’s ability to unleash the entrepreneurial spirit among the young and create an environment to help it flourish. “I believe there will be some great enterprises arising from China,” he said. “The monetary policy and supply-side reforms are very important and can help rejuvenate China’s economy. China’s slowdown had triggered panic among foreign investors, with some choosing to leave the country. But this actually created fresh opportunities, Ma said. History had proven that those who bucked the trend to invest in China during difficult times always received good returns, he added. “China needs to develop its rural areas; China needs to develop its cultural industry. It is also shifting focus to services and IT industries. There are still plenty of opportunities around,” Ma said. In the second part of an interview with SCMP, Ma says he envisions the newspaper to leverage on Alibaba’s technology and resources. JUST why does Jack Ma want to own a newspaper, and what will he do with it? Those are the biggest questions that have confronted readers of the South China Morning Post (SCMP) since news broke of Alibaba Group’s acquisition of the 113-year-old English-language newspaper late last year. Now, for the first time since the Chinese e-commerce giant’s takeover earlier this month, Ma has outlined his vision for the newspaper. The acquisition has raised eyebrows, with some suggesting that the SCMP – which has for decades been reporting aggressively on China – would change its direction. A few even believed the newspaper might henceforth gloss over sensitive or controversial issues that risked incurring the wrath of the Chinese leadership. In a face-to-face interview with the SCMP in Hangzhou, eastern Zhejiang province, Ma addressed these concerns, explaining why he believed in having a narrative on China that was different from that of both the mainstream Western media and Chinese state media. China’s growth will remain enviable for the next 20 years, says Ma. As a reader, Ma said, he valued the importance of obtaining unbiased information in order to draw his own conclusion based on the undistorted facts presented to him. “I believe the most important thing for the media is to be objective, fair and balanced. We should not report a story with preconceptions or prejudice,” he said. With its access to Alibaba’s resources, data and all the relationships in its ecosystem, the SCMP can report on Asia and China more accurately compared with other media who have no such access. “Sometimes, people look at things purely from a Western or an Eastern perspective – that is one-sided. What the SCMP can do is to understand the big ‘why’ behind a story and its cultural context. 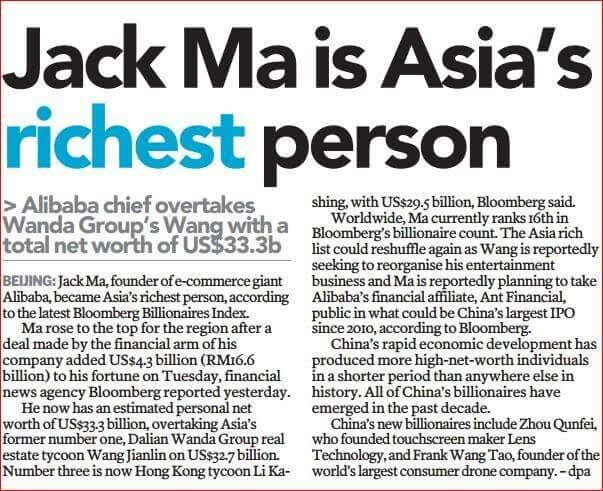 The tech tycoon said his vision was to transform the SCMP into a global media agency with the help of Alibaba’s technology and resources. Alibaba, the world’s biggest online trading platform, is aggressively developing big-data and cloud technology. Every day, it analyses and processes a massive volume of data that can provide powerful insight into the world’s second largest economy. Ma reiterated his promise that Alibaba’s management would not take part in the SCMP’s newsroom operations. Rather, it wanted to represent readers’ interests and give feedback on how to improve readers’ experience, he said. “As I said to Joe (Tsai), you are going to the SCMP as a representative of its readers. You don’t have to represent shareholders. 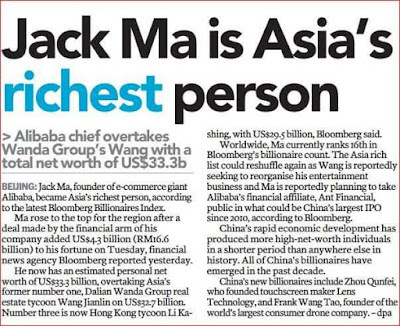 You speak for the readers,” Ma said, referring to Alibaba’s executive vice-chairman who is now the chairman of the SCMP. Ma, who last year unveiled a HK$1bil fund to help Hong Kong’s young entrepreneurs start up their businesses, said he invested in the newspaper because he “loves Hong Kong”. Hong Kong was stuck in a rut and in danger of losing its direction, the billionaire said, urging Hong Kong’s youth to hold on to the city’s uniqueness and have faith in its future. “The city has lost its can-do spirit. The big businesses are less willing to take risks. I talked to some young people in Hong Kong and they said they are lost. Young people indeed have fewer opportunities than before. But is it true that there are no more opportunities for them? No!” he said. Hong Kong had many strengths that were unique to the city, Ma said. “It has the best location. The ‘one country, two systems’ allows it to enjoy the good things from China’s growth and the best things from the West... The quality of Hong Kong’s graduates can match the finest from any other city. 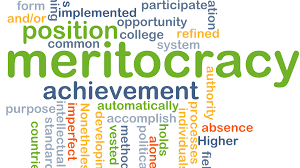 Its services industry is first class,” he said.